Plans are in the works to completely revamp King Street from Liberty Village to the Distillery District, making it more pedestrian, bike and transit friendly. This is a project that is long overdue – anybody who has attempted to ride the 504 streetcar at rush hour knows what a gamble it can be – you may have to wait for several full cars to go by and even if you do get on one, there’s no guarantee that it won’t short turn, leaving you blocks away from your destination. For cyclists, there are more than a few spots that are frightening to navigate. Minimizing vehicular traffic on a major artery would be a big move, but it would make the city more livable, especially for those who have moved into the condos now lining King Street. 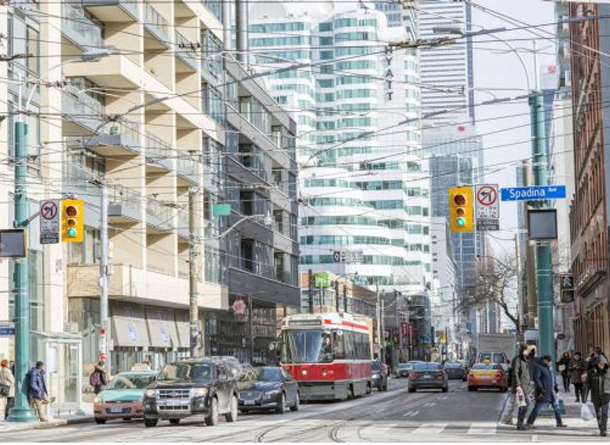 A project called the “King Street Visioning Study” is getting underway, according to Toronto Star columnist Edward Keenan. The plan will be put together by some heavy hitters – according to Keenan, including Jan Gehl whose writing lead to New York becoming more pedestrian friendly. Click here for the full article, it’s a good read!